Jypyä Pop (Turku, Finland) on 8 June 2018 in Animal & Insect and Portfolio. The picture was taken yesterday morning about six o'clock. I love this - the reflections are perfect. I love this one so much . Splendid reflections and colors. I like the sense of movement. 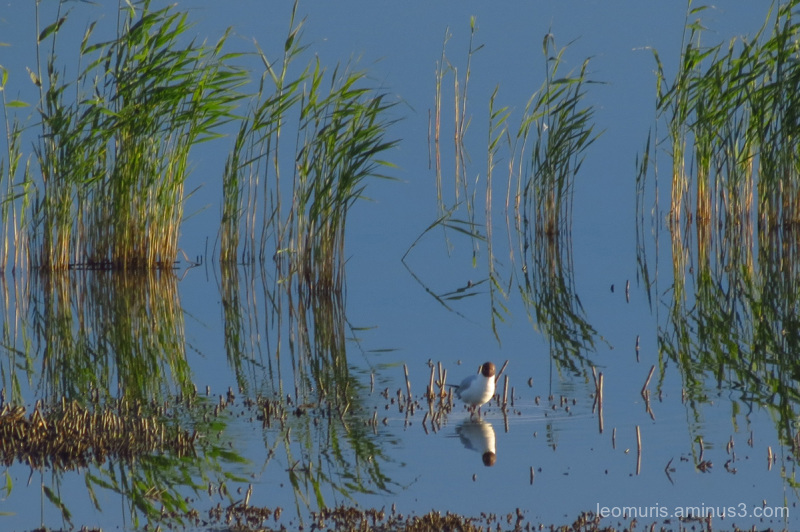 Superb composition with reflections and the little gull. what a cute image here, An early riser I think ! Or, the early bird catches the worm...stay in bed friends! @beach: It is an old wisdom. An early bird sometimes has to take a nap in the middle of the day. The early bird gets the . . . fish, maybe. Beautiful capture. @Claudiel: The sun rises about four o'clock in the morning. That's when the bird's day begins. The sun will fall in mid-summer around 11 o'clock in the evening. In mid-summer the night is really short. In Lapland, the sun does not fall before July.